Urban’s collection is classified as high-street fashion. The range is inspired by the workmanship of individuals who are involved behind the scenes to transform the ‘probability of ideas’ into the ‘possibility of a collection’. 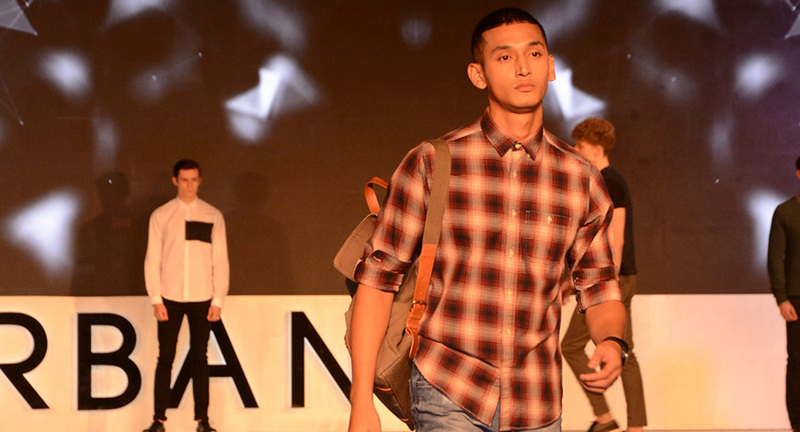 URBAN collection aims to be designed for the well-travelled urban Indian consumer. Some of the highlights of this collection include pilot jackets with big pockets, cargo trousers, dropped trousers and knitted bombers. The Urban by Blackberrys collection is designed with three focal points: application of surface treatments like innovation in textiles, its unique silhouettes, and attention to fine details that add freshness to the whole range. The colour palette comprises of hues like staple blacks and whites, neutrals and other colours like indigo, foliage, lacquer, caramel, cobalt and azul. The prints range from industrial to soft naturals. Blackberrys was founded in the by lanes of Chandni Chowk, New Delhi. Starting out as a garment company, Blackberrys has overtime grown from a wholesale, to retail and now to a fashion company. With the launch of this new collection, the brand aims to enter newer territories in terms of target groups.